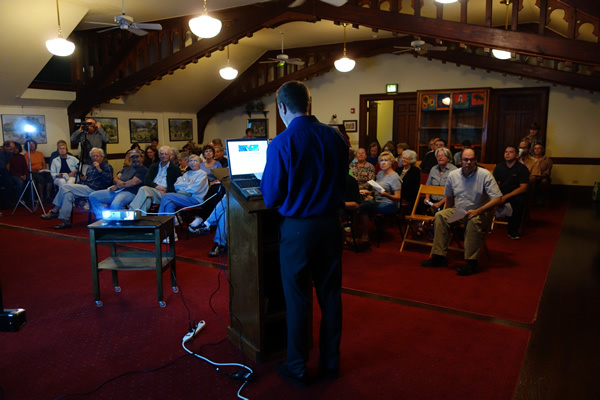 We counted over 94 people that attended our Solar Conference Tuesday night at the Tivoli Village Hall. It was a great success. The room was packed. The photo above shows the room just before most everyone arrived. There were lots of questions and people felt that this conference “got the ball rolling” toward them getting solar. The four speakers are listed below with their contact info.